April Fool’s Day pranks are done to death in the PR industry, to the point where I’m pretty reluctant to believe anything I read before 12pm on April 1st. Competition hots up and only the best of the best (or the most terrible and thoughtless) tend to make the cut when it comes to media coverage. Over the years, some journalists have even tired of the age-old pranks and coverage has been harder to come by for those announcements made in jest. I think the best pranks are product ones that are so believable that their plausibility increases consumer demand for whatever has been fake-launched. This gives the opportunity for a follow-up story and the potential to actually develop and launch the product in the future. One of my favourites this year came from McDonald’s; the fast food chain announced that it was launching milkshake dips for those who had come to love dipping their chips in their shakes. There were chocolate, vanilla, strawberry and shamrock (minty vanilla) variations of the “Shake Sauce” announced in the US and now people are kind of outraged that they aren’t actually going to be available (giving Maccy Ds the perfect opportunity to launch them for a limited time). The stunt got so much coverage, with most acknowledging that it was an April Fool’s; but the people didn’t care… they just want it to be real now. McDonalds also announced the McPickle burger on the same day in Australia (no meat, just pickles and loads of ‘um), which received a similar response. Another fab one came from Smith and Sinclair, an awesome brand that you should check out, which specialises in alcoholic gummy sweets and edible fragrances. 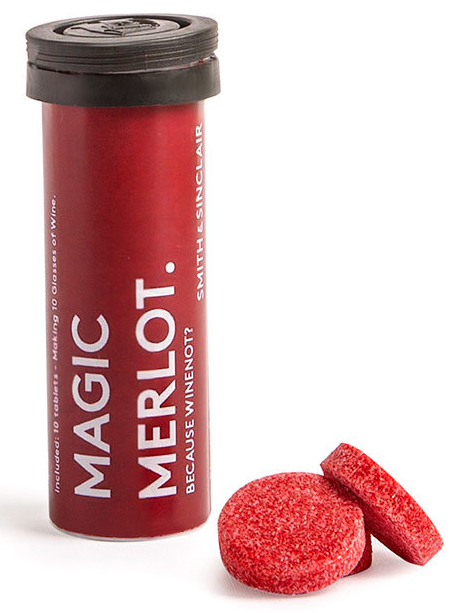 This April Fool’s, it announced ‘Magic Merlot’, an effervescent tablet you could drop into a glass of water that would effectively turn your water into wine. I have to admit, this was something I saw on my Facebook feed all sleepy-eyed in the morning (before I was properly with it) and I instantly believed it. I’d forgotten the date and, knowing what cool things Smith and Sinclair had created in the past, thought this sounded perfectly plausible. So, I inwardly kicked myself when I realised how daft I’d been, but at the same time pondered when this would actually become a thing. Moving away from April Fool’s Day, but onto something that was actually announced on the day and did sound a little bit too-good-to-be-true, Starbucks has had lots of love this week after announcing that it plans to launch a scheme in the UK that it has been successfully running in the US to pay staff’s tuition fees. 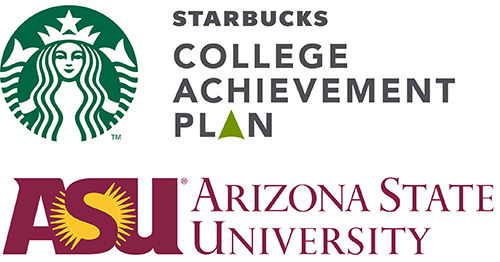 It will enable staff to study a course under the Arizona State University and there are 40 degree courses available, but staff have to have worked for Starbucks for three months and not already have an undergraduate degree. Starting in October, the catch is that there will only be 100 places made available initially, but Starbucks said it would consider rolling out more places in the future because of the American success with the scheme. If there’s one April Fool’s prank you should always, always steer clear of, it’s pretending you or your partner are expecting a baby. These “jokes” have been heavily criticised in the past for being insensitive to those who’ve miscarried, lost a child or struggled to conceive. Justin Bieber clearly didn’t get the memo, however, because he and his wife Hayley Baldwin pretended that they were expecting. Justin recently announced that he was taking a break to look after his mental wellbeing and ensure that in the future he could be the best father he could be, which made the prank even more believable and got the rumour mill churning away. Finally, he shared a third picture, again of a baby scan; but where the foetus would normally be, he’d overlaid an image of a puppy and put the caption, “Wait omg is that a,,, APRIL FOOLS”. First of all, his poor grammar really bothers me, but the real issue here is that people are (quite rightly) outraged by his thoughtlessness. He’s received a load of bad press about this, but it wouldn’t surprise me if he later came out and said that Hayley was actually pregnant and the April Fool’s was all a ruse to stupidly throw people off the scent. Either way, if it is true, just come out with it Justin. People would’ve respected you a lot more and, who knows, could’ve even been happy for you.